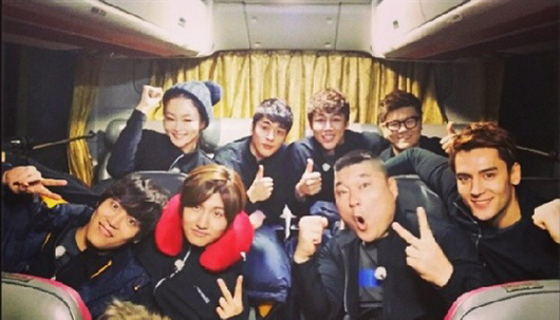 Model Lee Hae Jung recently released a group photo of the ‘Our Neighborhood’s Master of Variety and Sports’ team. The photo shows the basketball team of KBS2’s ‘Our Neighborhood’s Master of Variety and Sports’, which includes Kang Ho Dong, Max Changmin, John Park, Seo Ji Seok and Julian Kang, posing for the camera. Each team member has a bright smile on his or her face as they stare at the camera.